Street Soccer USA: Street Soccer Bay Area Fan Club Kickoff! Street Soccer Bay Area Fan Club Kickoff! 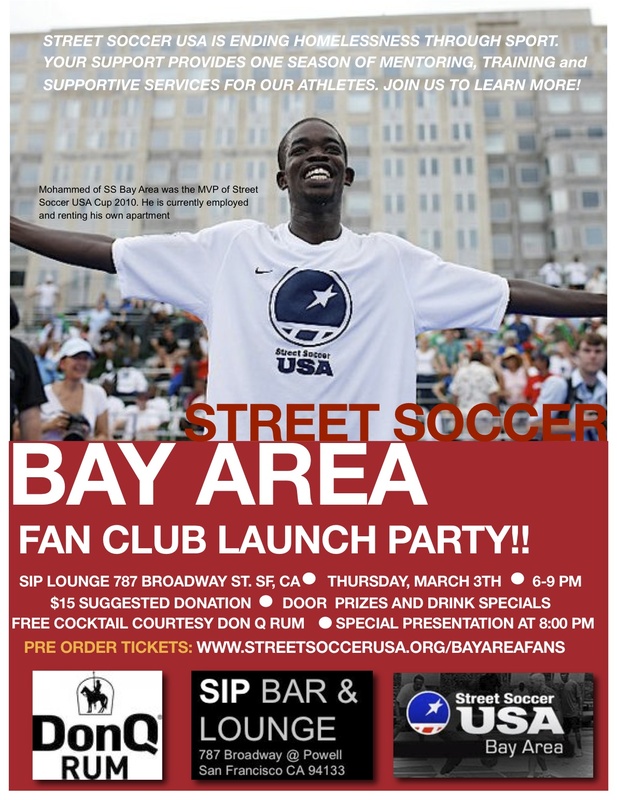 Street Soccer USA supporters can join in to end homelessness on March 3rd in San Francisco at the Street Soccer Bay Area Fan Club Launch Party. 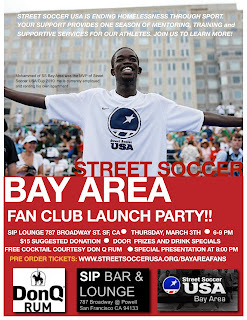 Email rob@streetsoccerusa.org for questions or visit www.streetsoccerusa.org/bayareafans to get your ticket to the event. Street Soccer USA Bay Area is run in partnership with the St. Vincent de Paul Society Homeless Shelter. The team practices weekly and plays in local amateur adult soccer leagues in the city. Each year the SSUSA teams from across the country compete in the Street Soccer USA Cup and have a chance to make the SSUSA National Team and compete in the annual Homeless World Cup of soccer.